Can be used to charge and sync any iPad™ or iPad mini. Features unique future-proof updatable firmware. 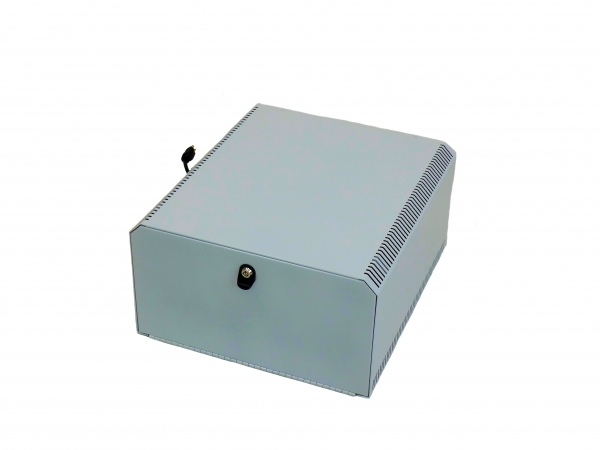 Power supply: 225W, 5V, 85~264VAC, constant current limiting circuit, overload/overvoltage/short circuit protection, all applicable safety approvals. Power supply is dual voltage 115/230 VAC. Power supply plugs into wall outlet with cord (provided). 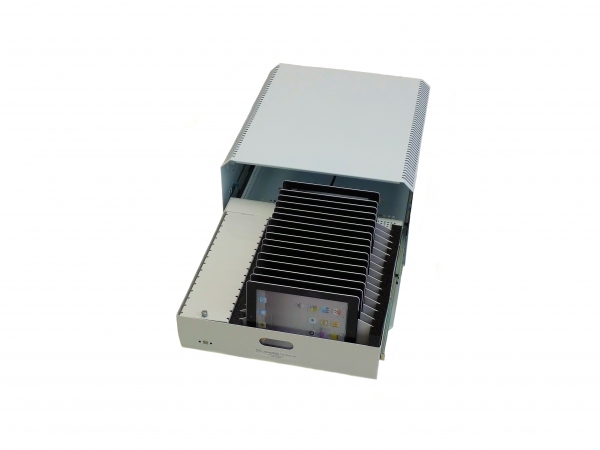 Unlike our other Mobile Devices Managers for use with iPods, iPhones and other mobile devices, the DS-MDM-SC-16U/iPad can be used to charge and sync any iPad™ or iPad mini. It features unique future-proof updatable firmware making these future-proof in an ever-changing technology environment. They have been designed for professional use and the highest performance standards. 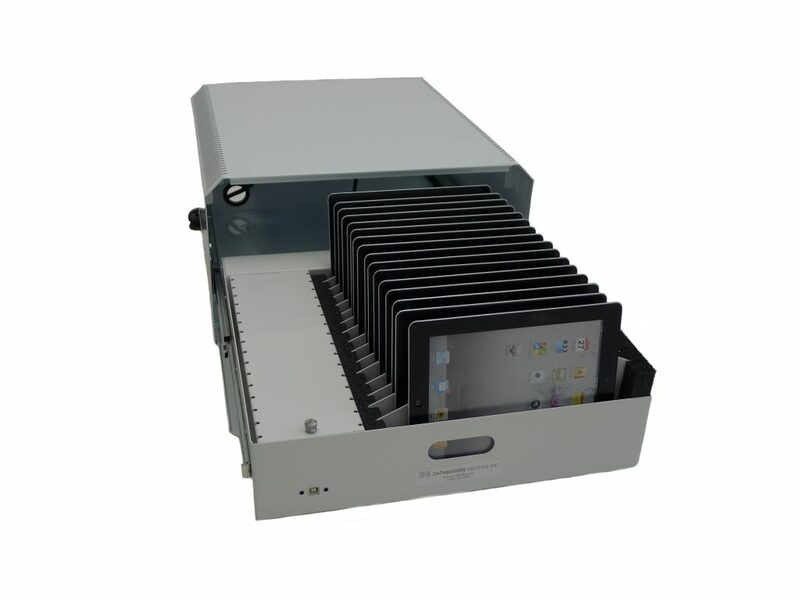 For standard and custom configurations, contact Datamation Systems.